Glazing Shop Blog - Don't let your fish get frozen! Don't let your fish get frozen! The Glazing Shop offers a perfect solution to ponds freezing over during the coldest month of the year, February. While temperatures plummet outside, ponds can become easily frozen, endangering the fish within. With our polycarbonate sheets, you can stave off the worst of the cold and protect your fish easily and quickly. Our 16mm and 25mm polycarbonate sheeting are ideal to protect your pond, and they are a popular solution to this issue. You can enter your measurements on our website and find out the cost quickly and easily. We are happy to discuss bespoke requirements such as unusual measurements. 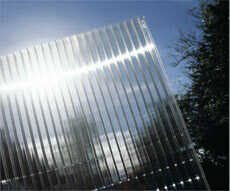 For more information, please see our polycarbonate sheets overview or feel free to contact us and discuss your needs.